Website design for small businesses allowing you to Change your content anytime with our easy to use Content Management System. 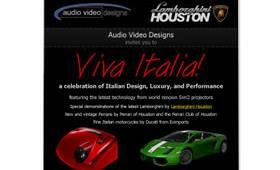 Custom automotive website design with easy to use content & vehicle management system. Vehicle inventory feeds. FlexMLS RETS integrated websites easy to use content management and inventory listing pages for Southern and Southwest Missouri..
Professional website copywriting and editing will improve your companies credibility and increase conversions. Maintaining improved On-site and Off-site search engine optimization strategies will increase your visits. Create an email marketing program to stay connected with your customers. Build an email list.